Google has started putting out a new feature on it’s flagship smartphone, the Google pixel phone. The new feature allows users to make use of Google assistant to see exactly who is call and their reason for calling before they pick up the call. When using the feature, users will be able to see a real-time transcript of how the caller usually responds and this helps them decide whether they want to pick the call or not. Users could simply tap the phone to send a quick reply like “I’ll call you back later” or they could mark the call as spam and dismiss it. 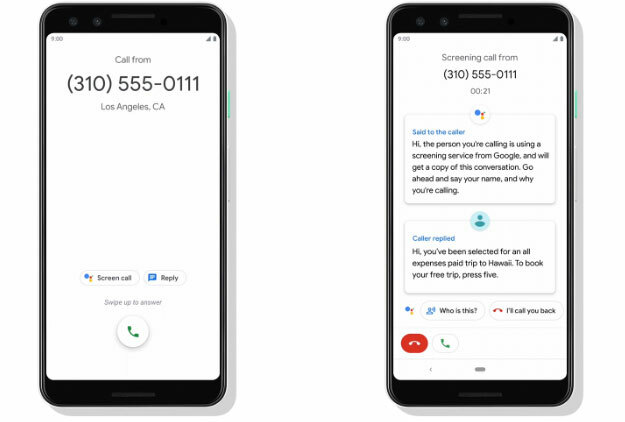 Google “call screen” is currently available to users the who have Pixel 2, 2 XL, 3, or 3XL devices. Sometimes if call screen does not understand the caller it can ask the caller to repeat themselves. The feature which was designed to help people from picking unimportant calls does not use WiFi or mobile data. The phones that have this setting do not currently save the transcripts of the calls but Google has said they could save them in the future.